The main objective of this project is to propose methods for knowledge modelling and mediation in mobile context-aware systems, to support a user in adapting the system to his or her personal preferences and habits, and to improve management of uncertain and incomplete knowledge. Develop methods that will allow the system to adapt to the user personal preferences and habits in dynamic environments by combining machine learning approach with rule-based systems. Improve knowledge management methods for imperfect or incomplete context by modelling dynamics of uncertainty with modified certainty factors algebra, and probabilistic methods. Develop mechanisms and protocols for mediation that will allow to model and execute dialogue between the user and other system components to improve intelligibility of the system and provide support for better uncertainty resolution. If you are interested, join our team or participate in the project by installing AWARE application on your mobile device, and help us build databse of context! If you are an android user, and willing in participating in the project, install the AWARE Client application on your mobile phone or tablet and help us gathering contextual information. AWARE application has not yet been uploaded to Google Play, hence you may get a warning while installing it, that it is from unknown source. Just hit Settings and check Unknown Sources box to allow install AWARE application. Later you can disable this option. You will be asked to join the study of the name KnowMe. Agree to that, and… that's all :) Any time you wish to turn off the data collecting just reopen the Aware and tap on “Quit study”. 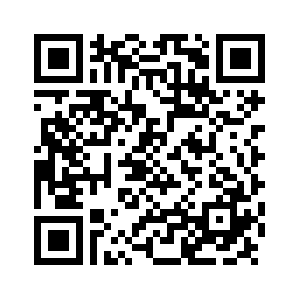 You can later join the experiment by scanning the QR code again. Google Activity Recognition – recognises users’ mode of transportation using Google Play Services API: still, on foot, in vehicle, on bicycle, unknown or tilting (moving the phone around randomly). Google Fused Location – provides location tracking with less than 1% battery impact per hour, using the default settings. We only record locations that you are already sharing with other applications, like Facebook, Google, etc. The application does not initiate location tracking itself. Weather - retrieve the weather information at the current location. Retrieval every 30 minutes by default. Mobile ESM - this will allow us sending you messages via MQTT server. This sensor does not actually gather any information except for that messages. Battery - this will allow us to make the context-aware application less energy consuming. You can read about our preliminary approach in Learning sensors usage patterns in mobile context-aware systems. Network - this will gather information about network usage, how much data you send, when you use internet connection. This will not gather information about the your browsing history. Check both Network events and Network traffic. Screen - this will tell us when your screen is locked and unlocked. We will use this to make your device more aware of who is using it and what are his or her habits. Applications - this will gather information about applications you use. This will not store any information like passwords, browser history, or anything you type in using your keyboard. Just a name of application you use. Simply write me an e-mail if you want to get access to your data, or have any question about the project! The data are transferred to us only when you have WiFi connection, so no GSM transfer will be used by the application. More about available sensors and data they are gathering can be found on the AWARE framework website. If you are a programmer, a web developer, or just an enthusiast who would like to learn more about machine learning, data mining, android programming and much more - write us an e-mail an join us! Help in applying for study abroad in Erasmus+ program (see more). If you are interested in working with us, but not necessarily in the topic of mobile context-aware systems, read more about our initiative called GEIST Season of Code. Storing your contextual data on our server is safe. All data is completely anonymous (identified by the device ID, which is known only to you). All data is private and is not available to anyone from outside the GEIST team. All data will be only used in research purposes. We do not store any confidential data like passwords, text messages, websites history, or anything you type using your keyboard. You can always delete your data or ask us to give you insight into it.